Roll out your seriously tricked out Back to the Future DeLorean and set the dial to 1987. Pack up your blow dryer and Aqua-Net, your black eyeliner and fingernail polish, your spandex pants, leather coat, and bullet belt, we're going back in time, dudes. With UK upstarts Damn Dice, it's 1987 all over again. Somebody's been snooping around their daddy's record collection. Damn Dice: damn! it's 1987 deja vu. Yep. 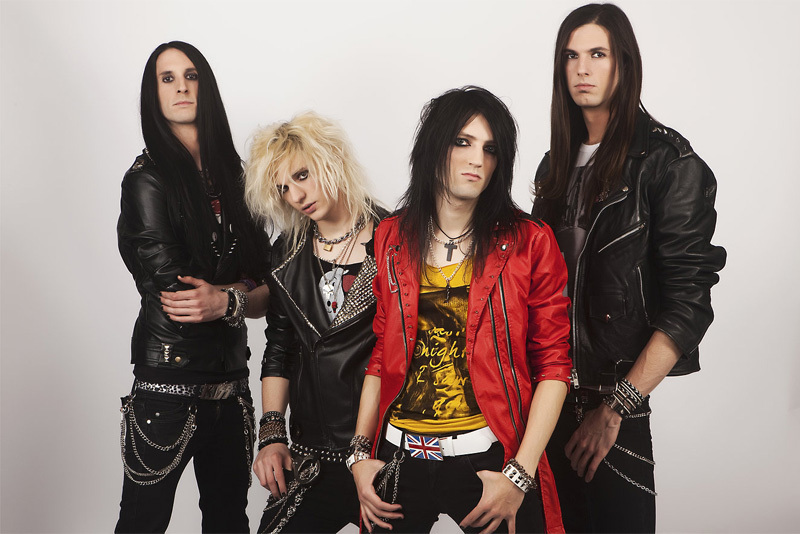 Damn Dice is all about melodic hard rock with the edge of heavy metal, the attitude of punk, and the swagger of Eighties sleaze. They're the babies of Dr. Feelgood's last late Eighties night of fornication. But here's the thing: Damn Dice, for as young as they me be in age and as a band (formed in 2011), they're pretty darn good at presenting that classic genre for the 21st century. Every song is built upon a strong rock groove in the rhythm section. Upon this they add harmonious vocal arrangements, hooks in arrangements and lyrics, and stinging guitar solos. Of course, they got the look too. If they couldn't deliver the musical chops, they'd be mere posers, second rate clones. But Damn Dice gets it, and delivers the goods. At times vocalist Alex can sound monotonous, but you can pick up the mandatory sleaze sneer in his voice. Besides nailing the basic sleaze hard rock style with relative ease, one of the sharpest points of Damn Dice's presentation is Wallis's guitar leads. He isn't a neo-classical widdler, but a true classic guitar rocker offering brisk and crackling melodic runs. All in all, the band is on the right path for their chosen genre. If they stay true to the style, exercise more creativity, and avoid redundancy, they'll probably get even better. Best tracks: Take The Fight, Down, and Wild Into The Night (though vocals take a beat down). And there are no ballads. Recommended for your Eighties deja vu. 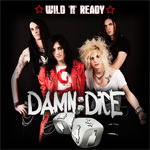 Damn Dice is all about melodic hard rock with the edge of heavy metal, the attitude of punk, and the swagger of Eighties sleaze.